Find out when we gather for worship, the heart of all we do at Trinity. Maps and directions to plan your next visit to Trinity in downtown Cleveland. We would love to hear from you. Find out how to get in touch with someone at Trinity. Thursday, April 18 |2 p.m. 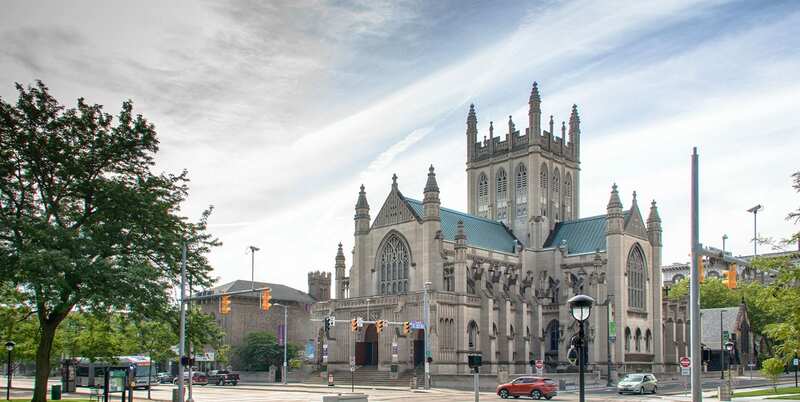 Following the example of cathedrals and churches throughout the Anglican Communion, Trinity Cathedral will toll its bell at 2 p.m. this Thursday for seven minutes in solidarity with Notre Dame de Paris Cathedral.